Kaye Posture Control Two Wheel Walker For Children is designed to make walking less energy consuming, improves postural alignment and maximize the potential for walking. 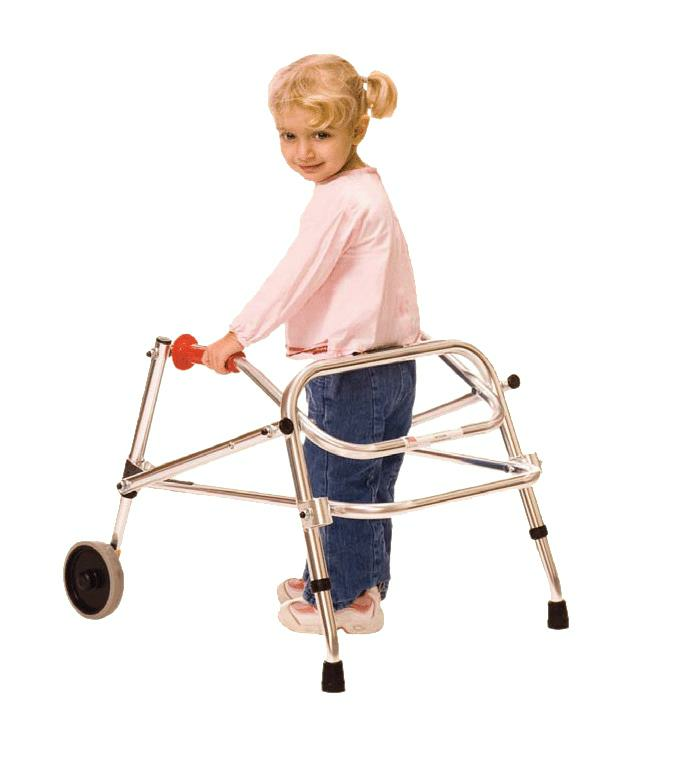 This walker helps improves alignment, cadence and stride and step length in children who have myelodysplasia, osteogenesis imperfecta or other musculoskeletal impairments. It comes with two wheels in the front and two crutch tips in the rear of a walker. Buy this product and earn 9.96 Reward Dollars. Height to top of handle (Floor to Mid-buttocks) 16.5" to 22"